What are the standard For Sale By Owner steps to closing in NYC? What are the next steps you should take after placing your List Your Home Online order with Hauseit? If you’ve just submitted your listing details and purchased a Flat Fee MLS Listing Package, thank you for your order! Please review and e-sign the flat fee listing agreement we’ll be sending you. A listing agreement is required to post your property in RLS and other sites like StreetEasy. The agreement will be sent later today or tomorrow morning if your order came in after business hours. Your listing will be uploaded within 24 to 48 hours of the time you’ve signed the Flat-Fee Listing Agreement. In the interim, we highly recommend you watch our Agent Assisted FSBO Training Series below so that you have the highest chance of success with your sale. Good luck! Setting your initial asking price is the most important decision you will make as a FSBO seller in NYC. The volume of buyer inquiries you receive, how quickly you sell and whether you sell at all is directly related to the initial pricing of your property. Preparing for the Agent Assisted FSBO sale process before you list your home is a prerequisite for success. This means assembling buyer due diligence documents in advance, choosing a real estate attorney and doing your homework about how the sale process works in NYC. Check out this nifty co-op seller checklist. Setting timing expectations for your sale is an important step in preparing yourself emotionally for the overall sale process. Listing your home while having unrealistic expectations for how quickly you’ll find a buyer and how soon you can close is a recipe for disaster. Once your listing is up and running, you will begin receiving inquiries from interested direct buyers and buyer’s agents. It’s important to understand how inquiries are handled and how to handle follow on conversations with buyers and their agents. Knowing how to deal with buyer’s agents is a prerequisite for success as an Agent Assisted FSBO seller. This is because approximately 75% of home buyers are represented by buyers’ brokers. Know how to react in the rare instance you are the target of broker harassment. Holding regular open houses is an essential part of the Agent Assisted FSBO sale process. 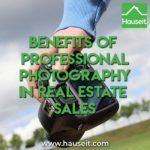 Read all of Hauseit’s open house tips and ideas for Agent Assisted FSBO sellers. Receiving an offer is one of the most exciting stages of the Agent Assisted FSBO sale process. Knowing how to screen and respond to offers is an important skill set for you to possess, especially if you are selling a co-op with a challenging board approval process. Screening all offers is an essential step in making sure your deal is on a path to success. Learn how to qualify home buyers as you receive offers on your home. Negotiating with buyers and buyer agents requires strong interpersonal skills, creativity and the ability to listen and adapt. Learn how to negotiate as a seller in NYC. Accepting an offer is an important step towards closing your deal, but it is by no means the end of the process. As a seller, it’s important to understand that there is nothing binding or contractual about accepting an offer. Preparing a deal sheet is the next step once you’ve accepted an offer as an agent-assisted FSBO seller. Completing an inaccurate or incomplete deal sheet is the easiest way to delay or derail your sale. 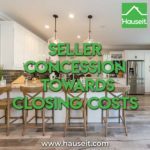 The contract to closing process is surprisingly easy as long as you have accepted an offer from a qualified home buyer and hired a seasoned real estate attorney. Receiving condo or co-op board approval for your sale requires the submission of a complete and well-presented board application. Although a condo board cannot reject applicants in the same way a co-op can, both building types will still require a perfect application before allowing you to proceed with your sale. Submit listing updates under "Tools"
Upgrade to traditional full service for only 1%! Can I call and email my listing agent for free advice? How will my listing appear? Take a look at any other listing by an agent in your building. Your listing will appear the same way with the listing agent being one of our broker partners. Our partners include some of the largest residential sales brokerages in the city. Your listing will be mixed in with their full commission listings and buyers’ brokers will not be able to tell the difference between your listing and full service listings. 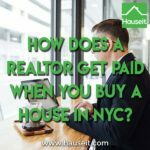 Can a Seller Back out After Accepting an Offer in NYC?